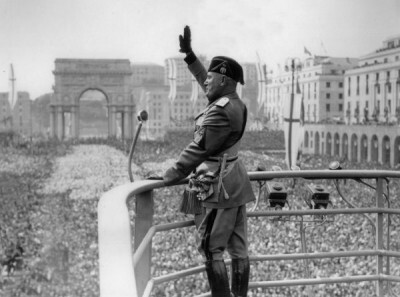 “Il Duce ha sempre ragione” [Mussolini is always right] – Scary, Eh? Watching a documentary about what went on between World War I and World War II, I learned that a basic slogan successfully employed by Mussolini aka Il Duce to build popular support for Fascism in Italy was “Il Duce ha sempre ragione” [Mussolini is always right]. Somehow, this seems especially ominous these days.